Streamline your dealerships accounting process today! Our QuickBook data intergration tool can save you hours & hours of time by avoiding the need for double-data-entry and at the same time can help you create more accurate records for your dealership. 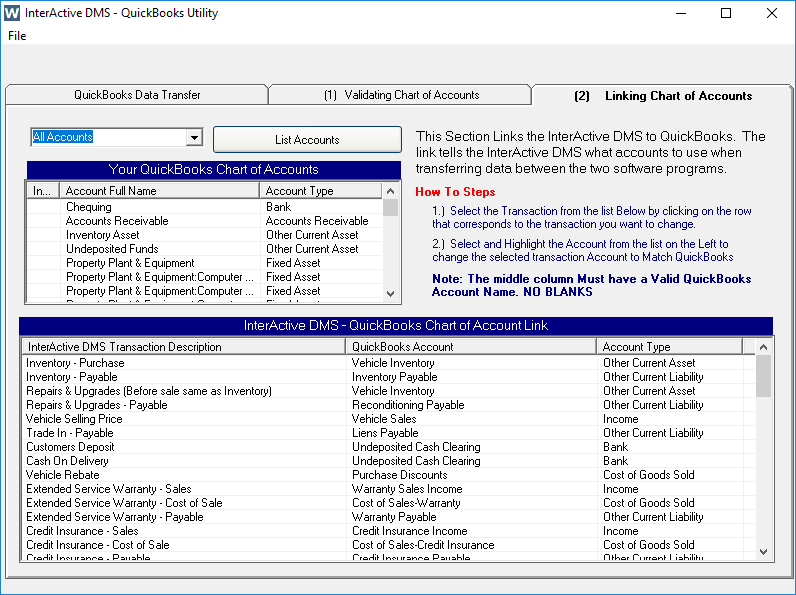 Extend the capabilities of InterActive DMS by using the integrated QuickBooks utility to dynamically transfer and communicate with QuickBooks for your dealerships accounting needs. 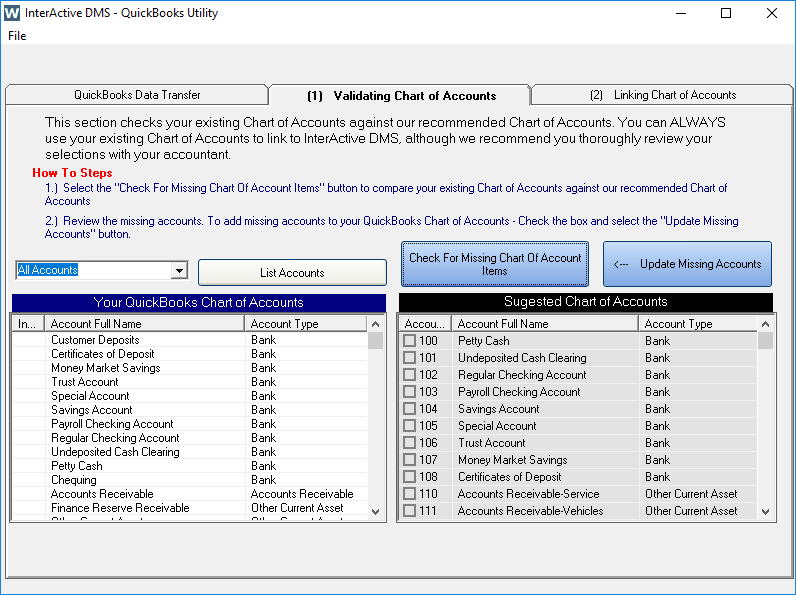 You can use your existing Chart of Accounts or allow InterActive to create or add new accounts for you automatically. Our account mapping utility allows you to customize your journal entry accounts into different bank, asset, expense or cost of good accounts based on your needs.